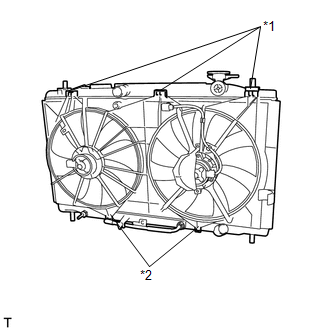 (a) Install the fan assembly with motor to the radiator with the 2 guides at the bottom and 3 snap fits on the top. 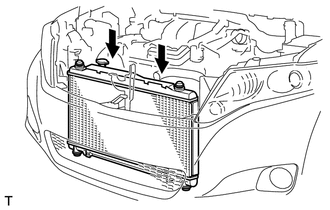 (b) Install the 2 lower radiator supports and 2 radiator support cushions. 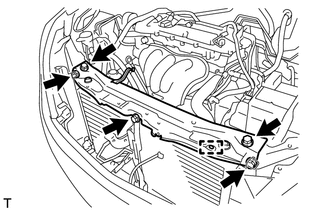 (c) Install the radiator assembly and fan assembly with motor. 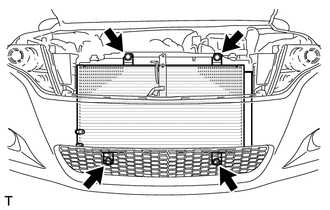 Do not apply any excessive force to the cooler condenser assembly or pipe when installing the radiator assembly. (d) Connect the 4 wire harness clamps and 2 connectors. 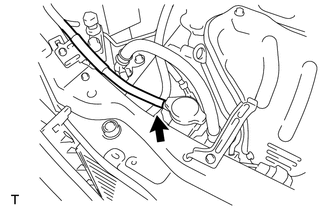 (a) Install the cooler condenser assembly with the 4 bolts. 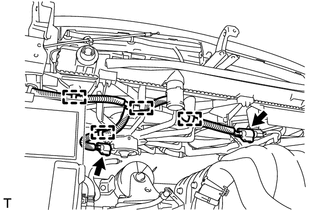 (a) Install the upper radiator support with the 5 bolts and connect the hood lock control cable clamp to the upper radiator support. (a) Connect the outlet No. 1 oil cooler hose to the radiator. (a) Connect the inlet No. 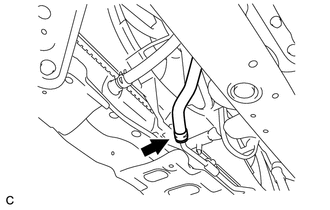 1 oil cooler hose to the radiator. (a) Install the No. 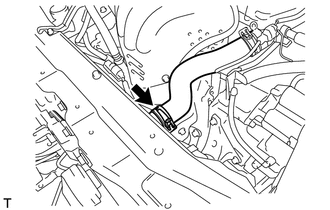 2 radiator hose to the engine and radiator. (a) Connect the No. 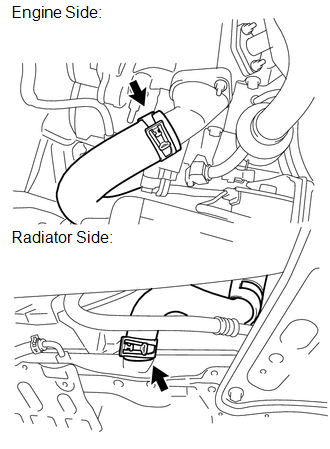 1 radiator hose to the radiator. 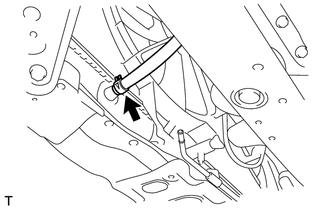 (a) Connect the outlet reserve tank hose to the radiator.